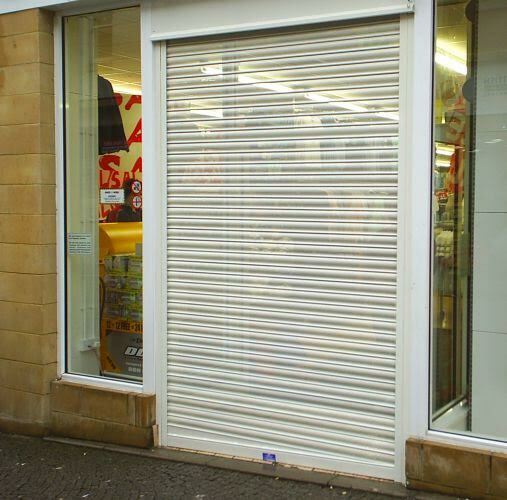 Excel shutter repair Warrington service covers the whole of the North West. No matter if you are in Preston or Manchester, Liverpool or Chester, we are the people to telephone when you need your roller shutter automatic door shop front repaired, skillfully and fast. We are the best priced shutter repair service in Warrington. We will not charge you for the initial call out. We will not charge you for quotations, all you will find on any of our invoices is the bill for the work we do, and the cost of the materials we have used. We strongly believe our roller shutter repair service is the best in Warrington, so good, in fact, that we when we install any shutters, automatic doors and shop fronts they come with a 12 months guarantee on all parts and labour. Excel roller shutter door repair Warrington service is super quick. We are not “middlemen” and manufacture our own roller shutters, and are able to complete any shutter repairs and shutter door repairs on site. This means we can supply a complete solution in place at your premises within 1 to 2 working days. Excel roller shutter repair engineers are fully conversant and experienced with all types of shutter doors. Mostly all mechanical problems can be fixed on the day you tell us about them, so you will not have to worry about compromised security. Excel shutter repair engineers are also reliable, polite, and well-presented. Excel shutter door repairs teams are available when you need them. When your business premises is compromised we can make it safe again. Excel roller shutter repair and installation service is suited for all kind of businesses, in any location. We have repaired roller shutters in high streets, installed shop fronts in shopping centres, and re-wired security doors in offices and homes. If it needs securing we will install it or repair it.